The Remote Sensing of Environmental Dynamics Laboratory (Laboratorio di Telerilevamento delle Dinamiche Ambientali, LTDA) was created in 1999 and is located within the Department of Earth and Environmental Sciences (Dipartimento di Scienze dell’Ambiente e del Territorio e di Scienze della Terra, DISAT) of the University of Milano-Bicocca (Università Milano-Bicocca, UNIMIB). The mission of LTDA is the development of remote sensing tools for quantitative estimation of land surfaces properties and environmental modelling. 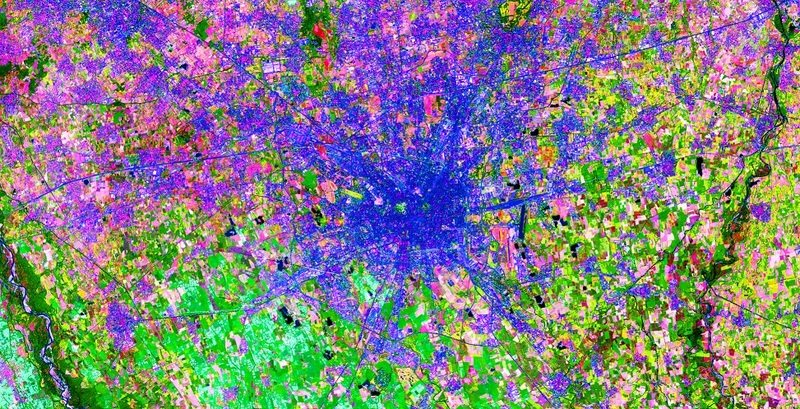 In this respect, LTDA works with a wide range of data at different scales and geophysical methods: assimilating multi-source, multi-spectral and multi-temporal remote sensing data, from field to satellite scales to evaluate environmental dynamics.